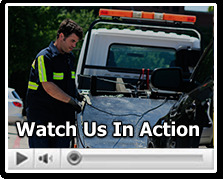 At Towing Fort Worth, customer satisfaction is one of our top priorities. We and our network of independently owned and licensed affiliates understand that towing can be a frustrating experience and that when you find yourself in need of a Fort Worth towing and roadside assistance company, you want a service that is professional, reliable, and fast. That’s our mission: to find a perfect blend of these characters which provide you with the best Fort Worth towing and roadside assistance available and with the fastest arrival time, affordable prices, and superior quality of service. To help you better understand the services that we provide, below we’ve provided the step by step process to explain to you the way in which we handle each call. 1.) Type of vehicle: the make, model, year and color. All of this information is important so that we can locate your car on the side of the road and figure out what type of tow truck is required for the tow. 2.) Any damage to the vehicle: This information is mainly related to the conditions of the tires. Are the tires in tact? Do you have a flat tire? Multiple flat tires? This information will determine whether or not we can tow the vehicle and what type of truck will be required for the tow. 3.) The location of the vehicle: If you don’t know where you are, how do we?! Knowing an intersection or better yet an exact address will help us quickly locate the vehicle. If you are on a highway, knowing which highway, which direction, and what the next exit is will help expedite your process. 4.) Your name and a phone number: While these seem basic, having a working number where the technician can contact you is important. Our Ft Worth towing technicians will want to get in contact with you to make sure that they have all the necessary information. Without a number where we can contact you, we can’t send someone to help. Once our dispatcher has taken all of this information, the rest of the process is very easy. A few minutes after you place your order, our technician will phone you to obtain any additional information that he may need. Be patient; sometime it takes a few minutes for the dispatcher to process the call and get in contact with the technician, especially on weekends and holidays. The technician will give you an approximate time estimate and then be over to assist you. Once the technician arrives, he’ll have you on your way in no time! Here at Towing Fort Worth we strive to provide the best service at the most affordable prices available. See why thousands of customers throughout Ft Worth have trusted Delta Towing Ft Worth with all their towing and roadside assistance needs. Give us a call today at (817) 886-8332 and see why we are Ft Worth’s best: Delta Towing Ft Worth.